It may be only February. Snow may still be covering the ground. But, I'm dreaming of SUMMER!!! I have 3 kids, who all want to do fun things while in the car. I've been collecting round-ups of ideas (come back every Tuesday for more!) 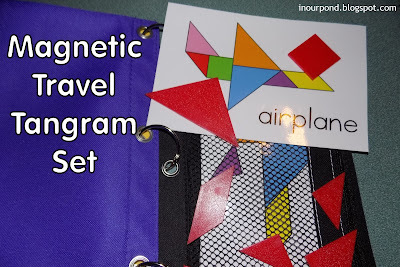 and am pleased to share a bunch of MAGNETIC ideas with you today! LIABILITY CLAUSE- Magnets can be dangerous when ingested. Only give them to children who are old enough not to eat them. You're the parent- so be smart about what you make for your kids. 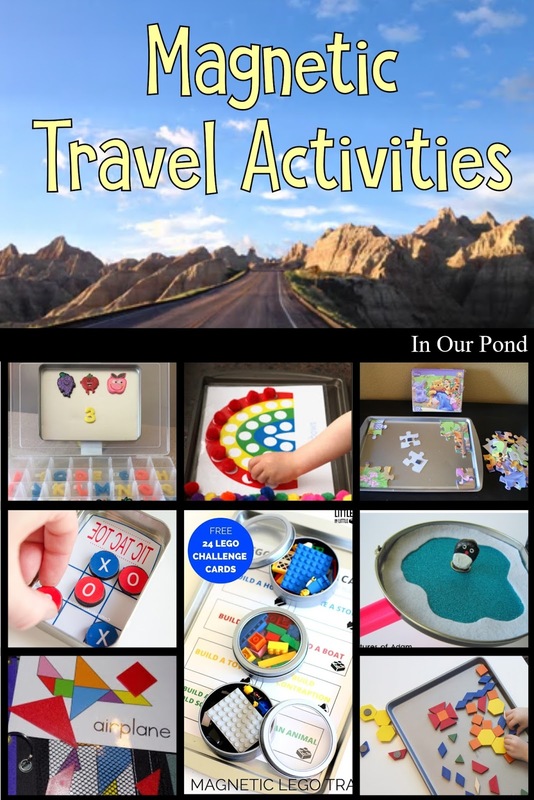 I love this idea of combining a Lego challenge with a travel activity. 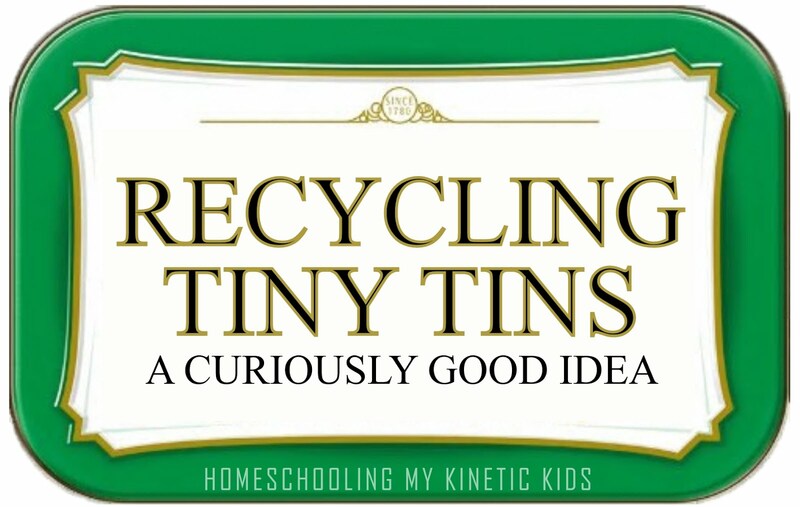 The little tins are magnetic and hold the pieces for the 20+ ideas. 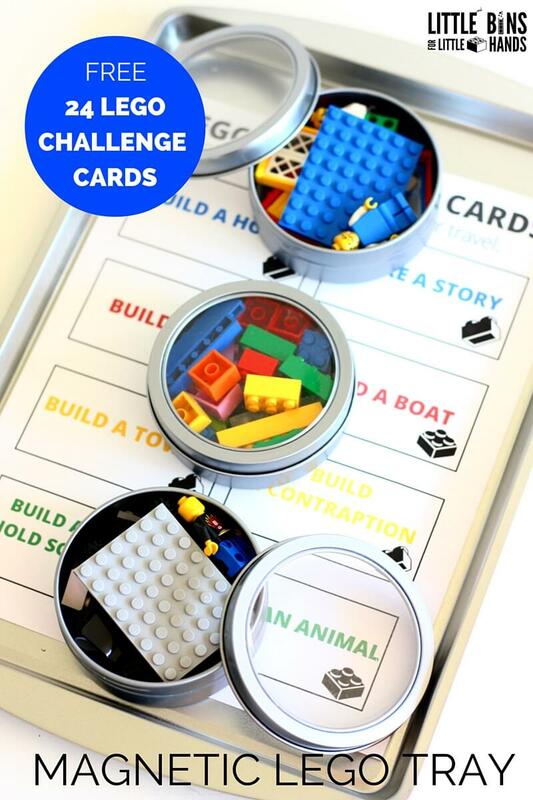 You could hand each kid a tin and then draw out a card for a contest or bind the cards together into a booklet of activities for each child. You could also glue a Lego board to make the building easier. Or, put button magnets on the back of the boards to keep the tray interchangeable between activities. Tangrams are a popular travel activity. This set of tangrams uses a plastic classroom set and adds magnets to the back. The patterns are printed from a puzzle website. 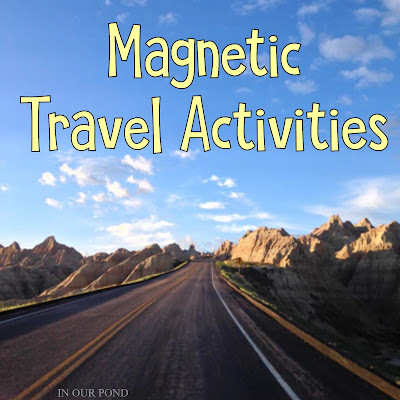 Dollar Store puzzle plus magnets equals a super simple road trip activity. Mom win! The blogger who made this bottle promises that it won't rust! As long as you can trust your child can be trusted not to pry the magnet out of the wand, this is probably a good activity for toddlers. Be sure to seal the bottle with glue to make it harder for them to open the bottle. Of course, adult supervision is always best. 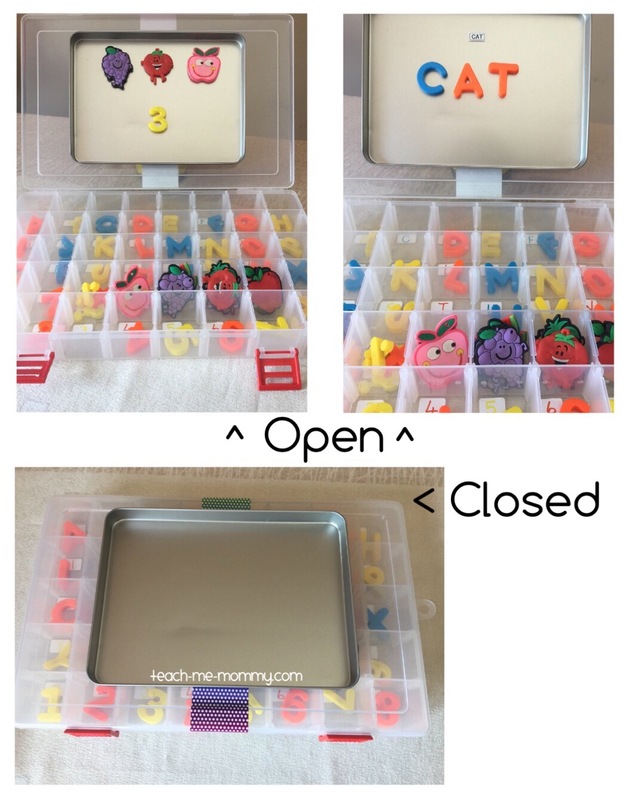 A combination of magnetic letters and a tackle box makes an easy spelling activity. The metal part is a cookie tin lid that has been velcroed so it can be moved from the top of the box to inside the lid. 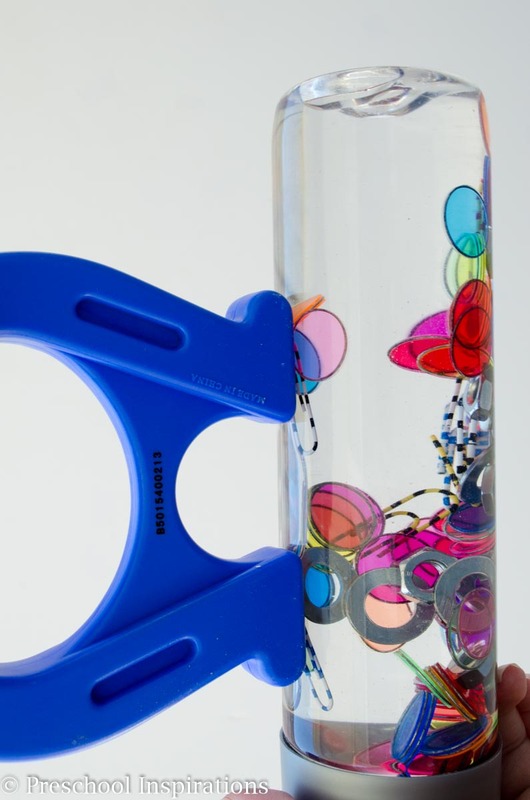 This is another easy magnetic activity. The pattern blocks can be used to build all sorts of pictures. 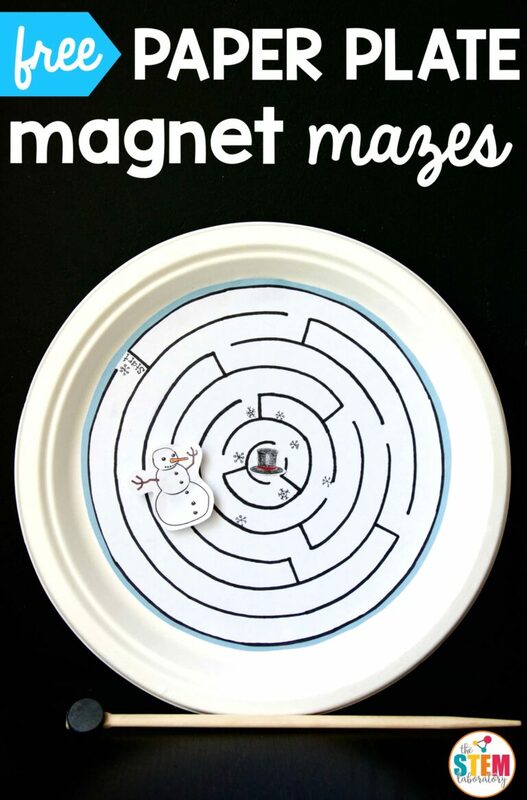 This maze would be a cheap and easy DIY for slightly older kids. It only needs a paper plate and a set of magnets. This one is snow themed, but you can make it however you want. When I first got on Pinterest a few years ago, I saw this activity all the time. I don't see it very much anymore, which made it a fun find for this round-up post. A package of Dollar store pompoms and a sheet of magnetic stickers make this an easy craft. 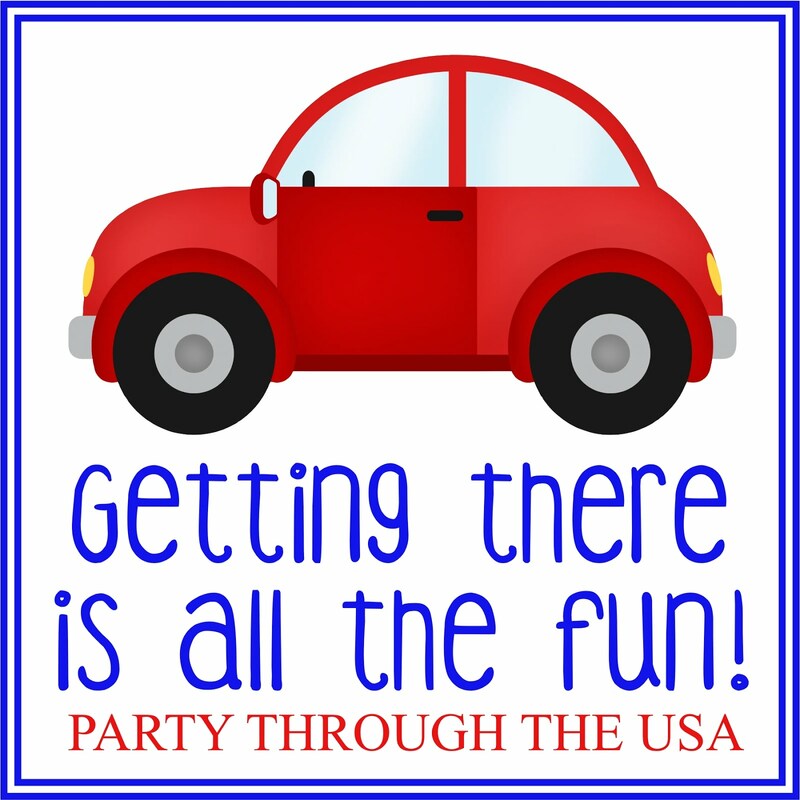 Search for free printables to make fun patterns and pictures. Tic Tac Toe is a classic kids' game. Instead of having to draw out the game board and waste paper, you can make this magnetic version. If magnets sound like a bad idea, you could make it with velcro like I did in this Pixar Cars version. In fact, many activities can be made with velcro to be safer; although they might be a bit chunkier. 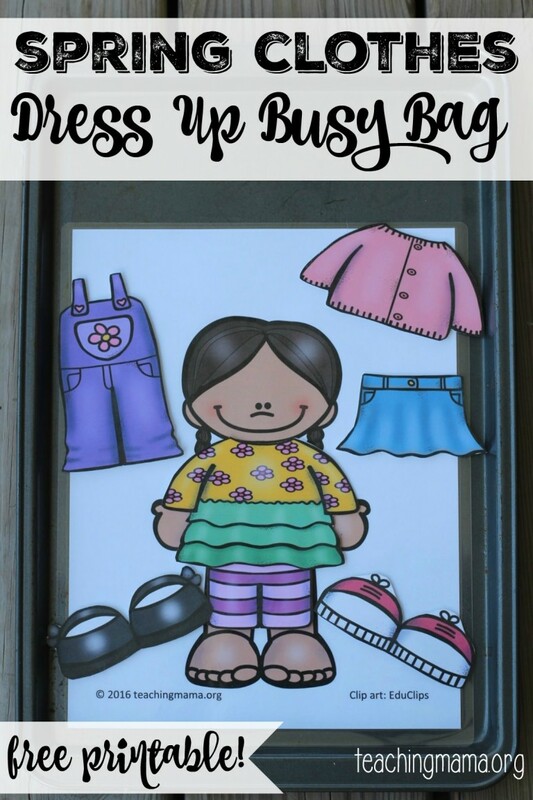 These magnetic paper dolls are adorable! There's a boy and girl version and all the seasons. Mix and match for silliness or use them to teach your child how to dress for the weather. Dragonfly gets very anxious if she doesn't know where we're going on our road trips. To help her, I always have a child-friendly map on my visor that we can use to count down the miles. This magnetic version puts the map in the kids' hands and allows them to practice labeling towns and moving the car along the route. Magnetic poetry is very popular and you can find other themes both in printable versions or to buy. This mom worked hard to make a version for her son and his friends that can build sentences and short stories. This small world play area features cute little rock penguins that can be moved around with a magnet. I think these good luck minis would work if you didn't want to paint some penguins. This game is a good reminder that you can tuck magnets between pieces of felt to make all sorts of fun things. I made a set of cupcakes on a busy book page where there were magnets on both the page and the pieces. 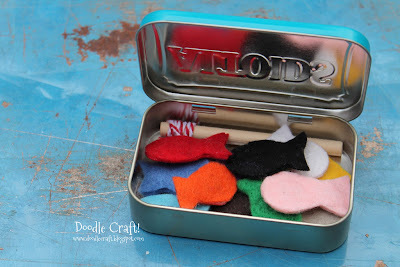 A classic fishing game, like the one in this altoid tin is great, too. BTW- have you seen my 50+ toys in a tin post? This toy is definitely not for kids that can't be trusted with magnets. But, it's so coooool! I want to play with it really badly. Maybe I'll make a small one just for myself (hehe). 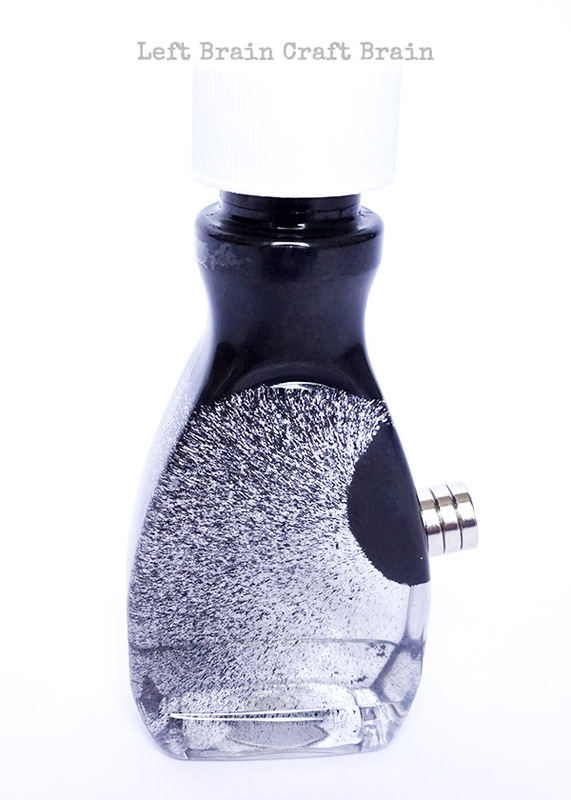 It uses toner ink to make that dark black cloud, but a less messy alternative would be to use iron filings instead. 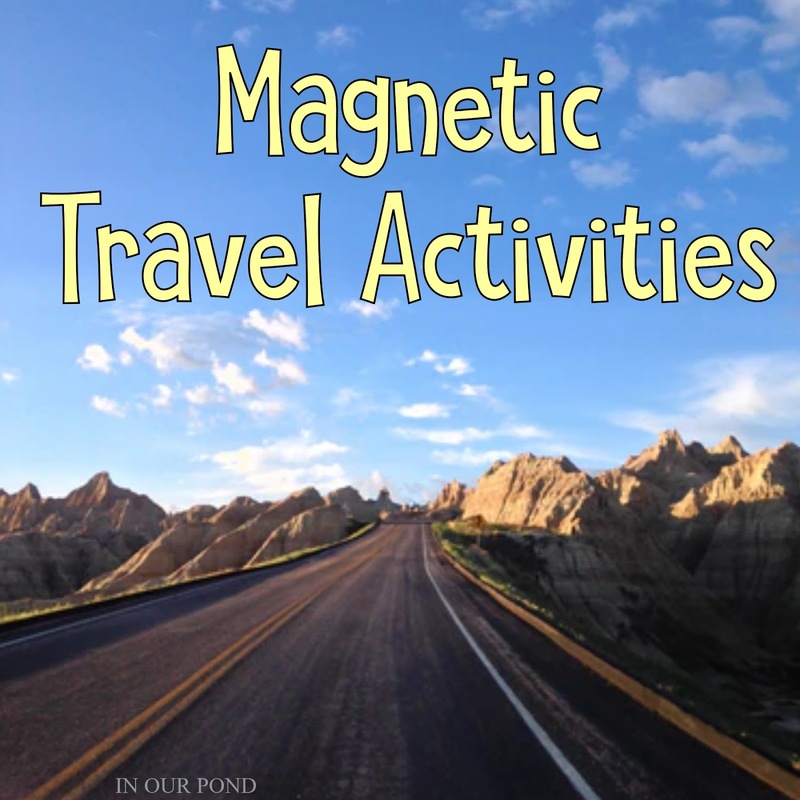 Well, that should get you started thinking about DIY magnetic activities for your next adventure. Come back again next week for more Travel Time Tuesday!